THE federal election has been announced and there's a couple of things to remember if you plan on making your vote count on July 2. The first thing to remember is July 2 - this is the date everyone will head to the polls for election day. If you haven't yet enrolled to vote you must ensure you have enrolled by 8pm on May 23. Electoral Commissioner Tom Rogers said all Australian citizens aged 18 years and over are required by law to enrol and vote in the federal election. "Enrolling and voting is compulsory. If you are not enrolled, you can't vote in the 2016 federal election," Mr Rogers said. "You can enrol conveniently online at aec.gov.au on your computer, tablet or smartphone." The third and final thing to check before election day is your details. Mr Rogers urged all Australians, especially those who have moved in the last three years, to immediately check that their details were up to date on the electoral roll. "If you're not sure that you are correctly enrolled to vote, go to aec.gov.au/check or, if you need help, call us on 13 23 26," he said. 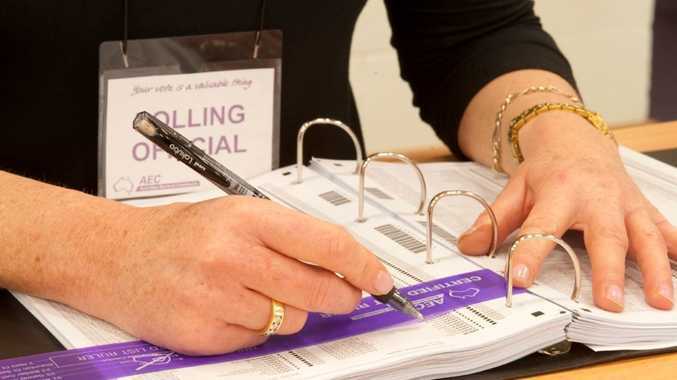 "If you're on on the roll but moved since the last election, or changed your name, you need to update your enrolment details online at aec.gov.au"
Australians unable to go online can pick up a paper enrolment form at any AEC office or Australia Post outlet. Seventeen-year-old Australians turning 18 on or before July 2 2016 should also enrol and vote in the federal election. Issue of writs: Monday, May 16. Close of rolls: 8pm, Monday, May 23. Close of candidate nominations: Noon, Thursday, June 9. Election day: Saturday, July 2. Return of writs: On or before August 8.